By mid 1943 Germany was being bombed around the clock. While the effectiveness of this offensive is often called into question, the evidence suggests that roughly 50% of Germany's entire war effort was devoted to defending against the RAF's strategic night bombing campaign. By the time the RAF launched it's first 1,000 bomber raid in May 1942 the city of Cologne, for example, had devoted nearly one hundred million RM to civil defence including bunker building. Hitler of course had ordered the 'Sofortprogram' of huge civil defence projects from the first raids on Berlin that took place in mid-1940. But despite these huge investments Bomber Command effectively blinded and defeated German defenses over Hamburg in July 1943 - including the German night fighter arm, the Nachtjagd. One German night fighter ace airborne in defence of Hamburg on 27 July 1943 was 23-year old Bf 110 night fighter pilot Wilhelm Johnen. Thanks to the deployment of ‘Window’ Johnen had - in his rage and frustration -found himself heading towards Amsterdam; "..it was obvious no-one knew exactly where the enemy was or what his objective would be, (yet) an early indication of the direction was essential so that the night fighters could be introduced into the stream as early as possible.. " Johnen’s long out-of-print memoir « Duel under the stars - a factual report from a German night fighter pilot » is recently republished by Pen and Sword imprint Greenhill. In simple, uncomplicated language which does much to preserve the ‘immediacy’ of an account first published in English in 1957 - Johnen describes his initial training, the creation of the German fighter force established to counter Bomber Command’s night offensive, his posting to NJG 1 and the first victories as the lumbering four-engine bombers are stalked through the night skies by growing numbers of ‘panther-like’ fighters bristling with cannon and stag-antler radar antennae guided by an all-embracing system of radar defence. Johnen was one of those night-time ‘stalkers’ and his book features some remarkable descriptions of night-fighting and of life on an operational air-base in war-time Germany. The author has much in common with the young crews of Bomber Command. He also describes in detail the backdrop of tactical innovations by the ‘boffins’. 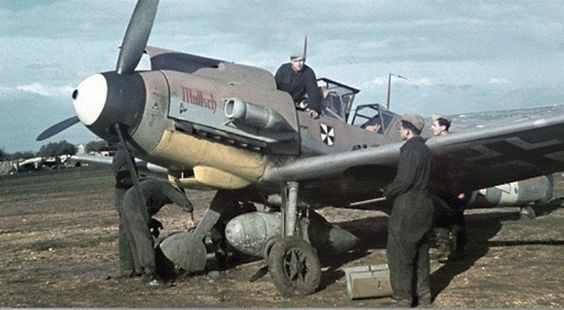 And while the RAF had the strategic edge at all times, German nightfighters were able to score some heavy tactical victories, the Lancaster being especially vulnerable to the upward firing armament of the Bf 110. But the reality for the Luftwaffe was one of decline and defeat. Johnen himself was briefly interned in Switzerland after being forced to land there but in October 1944 was awarded the Knight’s Cross for 33 bomber victories. In early 1945 he was appointed Gruppenkommandeur of III./NJG 6 but by this stage of the war with the Allies pressing deep into Germany itself downing bombers was no longer a priority and night-time sorties involved ground strafing armour and troop concentrations. Your reviewer was fortunate enough to know Johnen’s comrade Peter Spoden -who also features here heavily- as a friend and assisted in the preparation for publication of his memoir ‘Enemy in the Dark’. 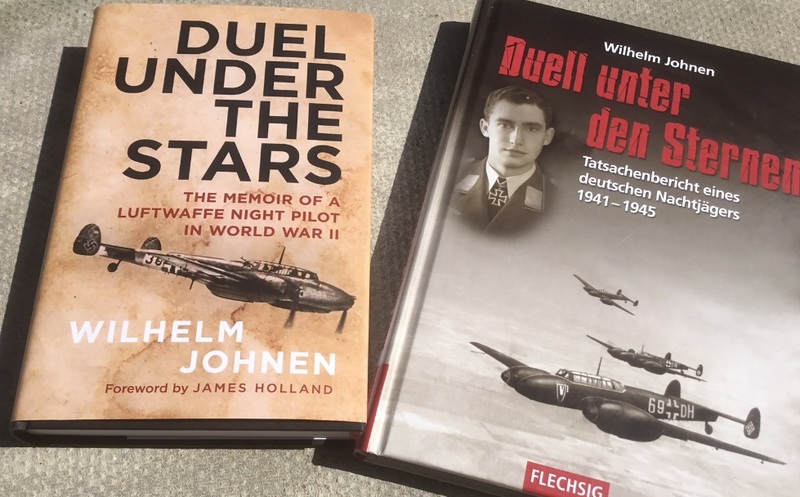 This new edition of Johnen’s ‘Duel under the stars ‘ complements that title admirably, is introduced with a new 10-page Foreword from historian James Holland, features a selection of over 100 photos and can be recommended to a new generation of readers without reservation. 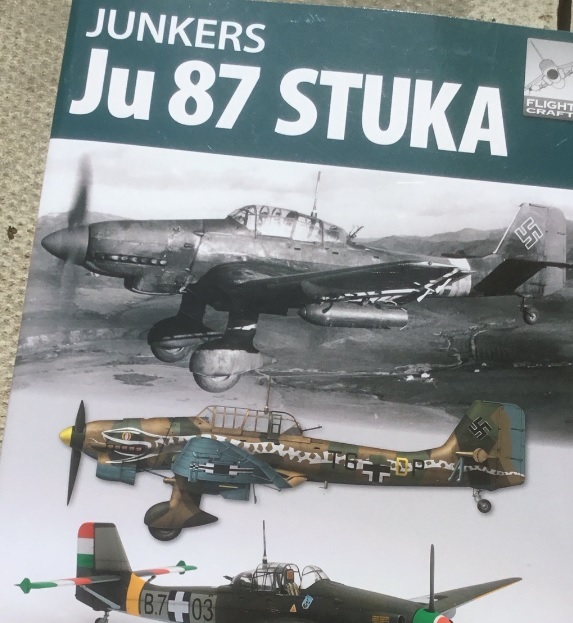 The latest title in Pen and Sword’s ‘Flightcraft’ series of monographs is devoted to arguably one of the most iconic individual Luftwaffe aircraft types of WWII - the Ju 87 Stuka. Designed primarily as a ‘one-stop’ visual reference for modellers, this 96-page large-format card-covered soft back comprises three main sections; the book opens with a concise history of the type from the combat debut in 1937 of the Anton variant in the Spanish Civil War to spearhead of Blitzkrieg in Poland and the West through to Barbarossa and the later Dora and Gustav variants deployed as tank-killers at Kursk and during the years of defeat and retreat. 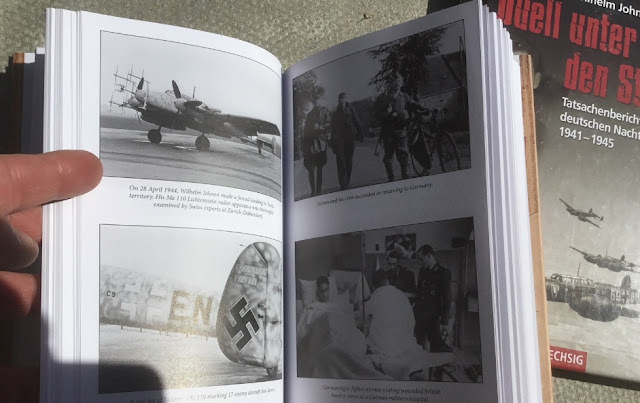 Subsequent chapters cover foreign operators and camouflage and markings which serve as an introduction to sixteen pages of very competent profile and plan-view artwork by Mark Rolfe illustrating the huge range of colour schemes worn by the Stuka. The third and final section of this well-done monograph provides an overview of the Stuka in plastic from ancient (Frog) to modern (Hasegawa, Trumpeter and the brand-new CAD-designed Airfix kits) -just about every kit of the type ever released is reviewed in depth including the short-lived 21st Century Toys model. The final 10 pages feature a selection of large colour photos of various model builds, which unfortunately adds little since all this and much more is available via a simple Google image search - this space in a book of this type could have been used to detail a specific kit build or builds in one or two of the major scales. Nonetheless a nice addition to a very ‘collectable’ series likely to be of interest to all Luftwaffe enthusiasts and modellers.